Scented – fragrance comes in a separate bottle. Neck and usual application spots. Perception has a revolutionary water base/polymer delivery system, but there isn’t enough room to explain it fully here. However, it is explained in detailed on the Perception order page (here). In short, the carrier is designed to reduce absorbtion into the skin and prolong the release of the pheromones. Use has shown that the water base does work, very well in fact. 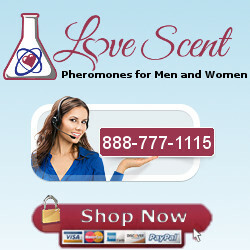 Not only can the water/polymer base in Perception prolong the release of pheromones, it also makes a cologne application last a lot longer. Perception also has the clever addition of a separate fragrance atomiser, which also uses the water/polymer base, which gives great flexibility when choosing you fragrance. When applying any product with Perception (including regular cologne), apply the other one first and let it dry down before applying Perception. This preserves the properties of the special carrier, and also allows the polymer to latch onto what ever you applied first.NEVER MIX ANY PRODUCT WITH PERCEPTION. Mixing with alcohol or oil makes the special carrier redundant. However, you can mix perception with water to reduce the concentration.